Shell V-Power Racing and Triple Eight have switched roles this year, in having "one eye on the future and one eye on the present", Ryan Story notes. 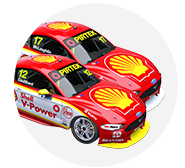 Story's squad is mounting a title bid through Scott McLaughlin in the final season of the Ford Falcon, while playing a key role in developing the Mustang package replacing it. It had no such concerns last year, when Triple Eight took Jamie Whincup to the title over McLaughlin with Holden's outgoing VF Commodore as it worked on this year's new ZB and a now-parked V6 engine. 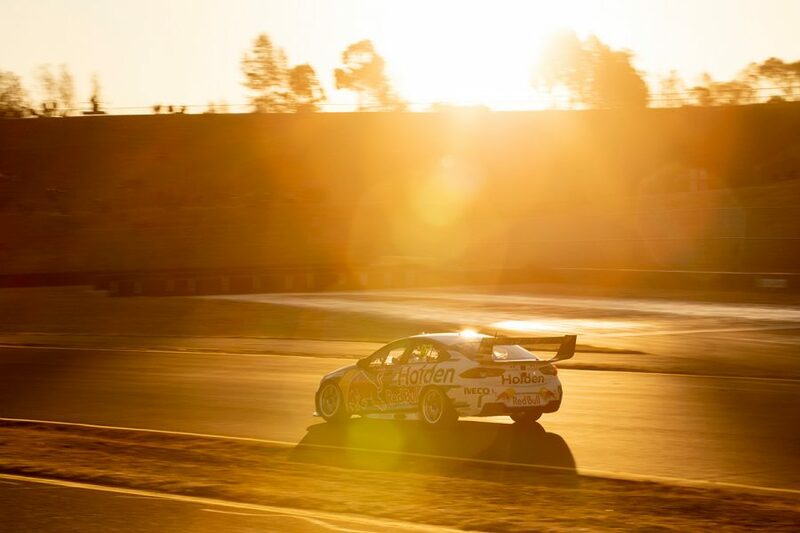 McLaughlin has led the championship since the Phillip Island weekend in late-April, and holds an 89-point advantage over Shane van Gisbergen after 21 of the year's 31 races. Red Bull Holden Racing Team pair van Gisbergen and Jamie Whincup have now won four of the last five races, McLaughlin taking the other. Asked whether there was more to come from his team's Falcon to fight Triple Eight, Story said: "We're in the same position they were last year. "You've got one eye on the future and one eye on the present. "We're working pretty frantically and furiously on developing this Mustang and making sure we've got a good weapon to fight with next year. "It doesn't mean we're letting our eye off the ball this year by any means. [But] there's only so much you can continue to do with the package you have. "We're going to keep fighting, this thing's going to go down to the wire, we're under no illusions of anything less. "We'll keep doing the best we can and continue to look forward, because anything we can do to improve the underlying mechanical package of the car will pay dividends next year as well." While Triple Eight's ZB had its first track run in September last year, the Mustang is not expected to be seen until November, with a mooted demo run at Bathurst not on the cards. 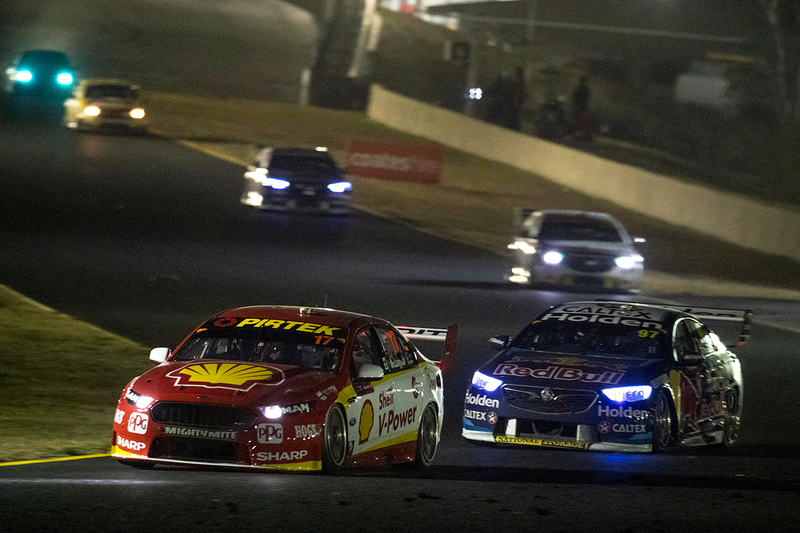 Triple Eight meanwhile started 2018 in style, winning five of the first eight races with the new Holden between van Gisbergen, Whincup and Craig Lowndes. It then endured an eight-race winless run, a period in which McLaughlin took five wins and built a handy points buffer. Team manager Mark Dutton agreed Triple Eight was building momentum with wins across at Townsville, Queensland Raceway and Sydney Motorsport Park, as the PIRTEK Enduro Cup looms. "We do like the big ones," Dutton said. "[Sydney] is now obviously one of the big ones. "The enduros, we try to nail some of those ones down and Townsville we were good up there as well. "QR was good, to be able to not have as a strong Saturday as we should've - we finished on the podium but we weren't quite happy with our overall pace there as a qualifying car - we rectified that for the Sunday. "Definitely, engineers, drivers, crew, everyone's working hard and gaining that momentum is so critical. "There's still a big points deficit to chase down."